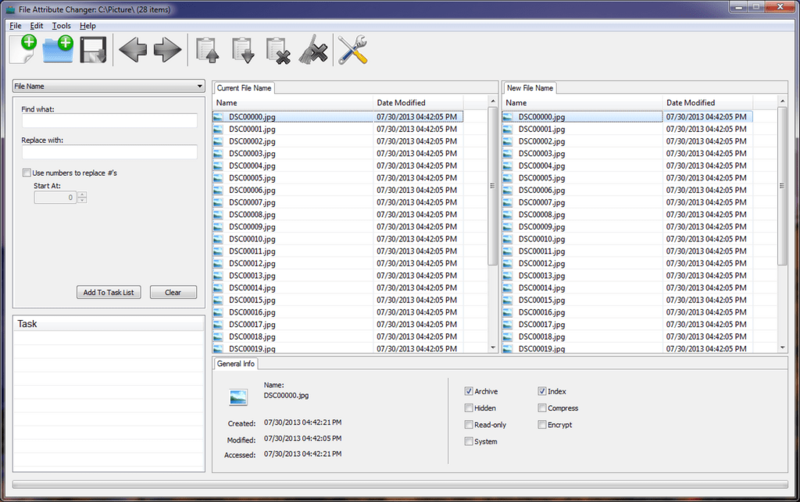 File Attribute Changer is a utility to easily rename multiple files and folders, change timestamps and system attributes. The program can use regular expression for an extremely flexible search-and-replace capability. Stealth: ? No. Writes to the registry. How to extract: Download the ZIP package and extract to a folder of your choice. Launch File Attribute Changer.exe. Fixed an issue with the GUI which doesn't display correctly under high DPI monitor resolution. It has big issue. All the files to rename must be in the same folder. I could not even apply rename to only some files inside the folder. Good thing is it supports regular expression (regex) that contains lookbehind. But again does not support plus symbol (+) inside lookbehind.